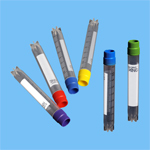 Tisch Chromatography Vials are supplied in screw neck, crimp neck, or snap ring configurations. 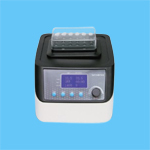 They can be purchased either in clear, or amber color, and in milliliters ranging from 0.3mL to 60mL. 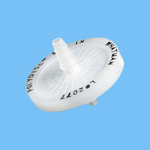 Current thread types available for our chromatography vials are: 15-425, ND13, 10-425, 8-425, ND9, ND24, ND11 (Crimp Neck), ND20 (Crimp Neck), ND11 (Snap Ring), ND18, and short screw. 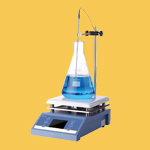 Caps and Septas are sold seperately. 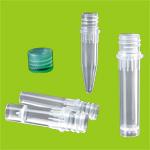 Tisch Scientific provides an array of vial caps for our chromatography vials. 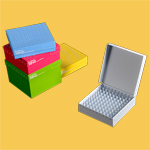 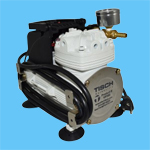 They are supplied in a multitude of colors such as, black, white, red, blue, aluminum, natural, and more. 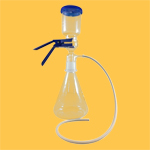 They are designed to fit the specific vial threads you are looking for and can come with our without septas included. 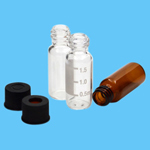 Our vial caps are produced in Polypropylene, Aluminum, or Magnetic Metal materials. 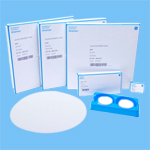 Tisch chromatography septas are manufactured with quality and temperature resistance in mind, some of our septas being able to withstand temperatures up to 250 degrees celsius. 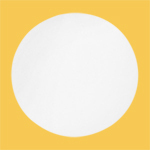 You can choose from a large variety of PTFE to Silicone configurations in color combinations using, red, white, blue, natural, yellow, gray, transparent, and much more. 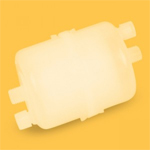 We also offer our Septas in pre-slit options. 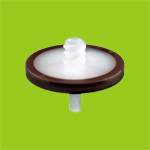 If you are looking for micro-inserts for your chromatography vials, we supply them in conical bottom, flat bottom, with Mandrel Interior's and Polymer Feet forms. 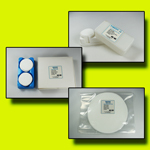 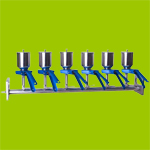 They are also designed to fit several sizes of chromatography vials such as ND8, ND9, and 8-425 threaded vials. 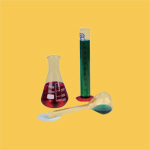 Tisch Scientific provides Hand Crimpers, and Decrimpers for use with 11mm-20mm cap openers and 11mm-20mm, crimp seals. 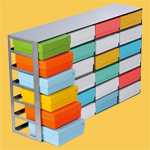 They are produce with quality and durability in mind and are stocked in our Cincinnati, Ohio warehouse. 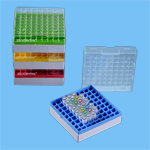 Vial Racks are also available for 1.5mL vials and 4mL vials in blue color with 50 holes per rack.